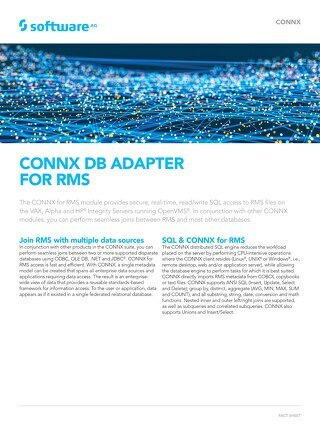 This data integration module provides secure, real-time, read/write access to Db2® databases on MVS™, OS/390®, z/OS®, OS/400®, OS/2, Windows® 2000/XP/2003/Vista/2008®, Linux®, AIX®, HP-UX® & Solaris®. 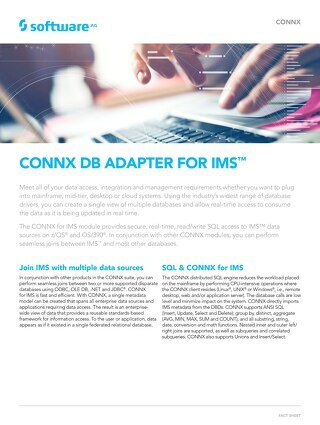 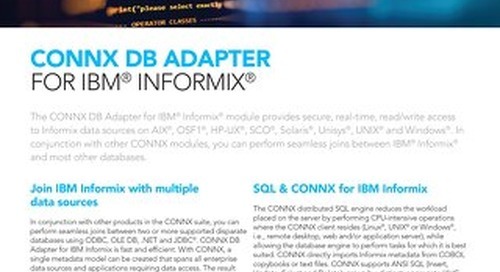 The CONNX for D-ISAM® data integration module provides secure, real-time, read/write access to D-ISAM® data sources on Windows®, Solaris®, HP-UX®, AIX®, Linux® and other UNIX® flavors. 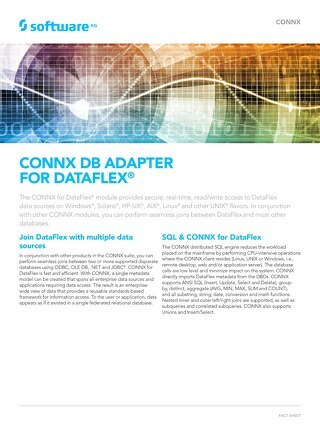 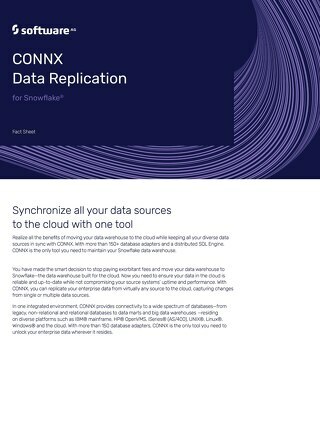 The CONNX for DataFlex® data integration module provides secure, real-time, read/write access to DataFlex data sources on Windows®, Solaris®, HP-UX®, AIX®, Linux® and other UNIX® flavors. 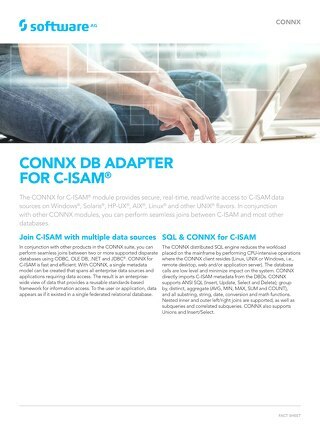 The CONNX for C-ISAM® data integration module provides secure, real-time, read/write access to C-ISAM data sources on Windows®, Solaris®, HP-UX®, AIX®, Linux® and other UNIX® flavors. 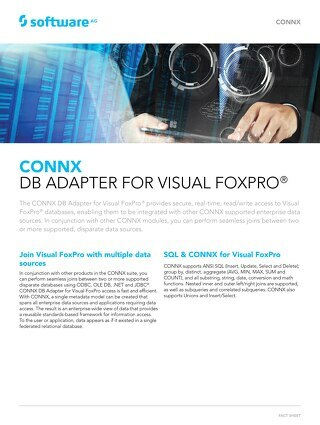 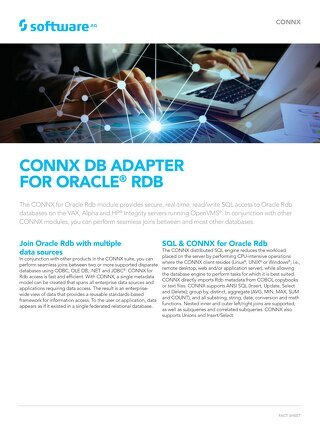 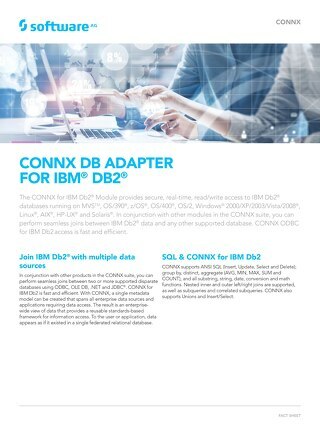 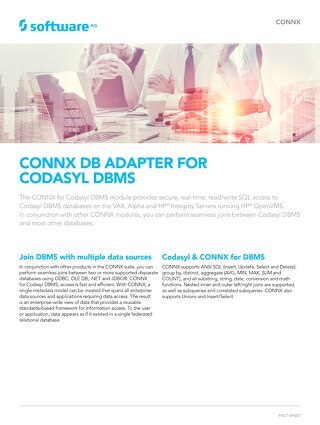 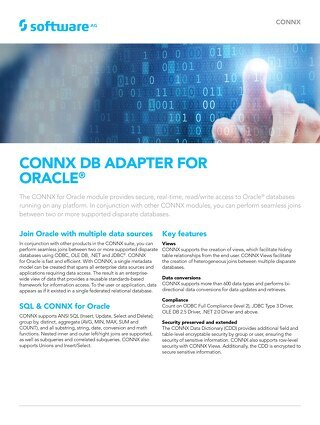 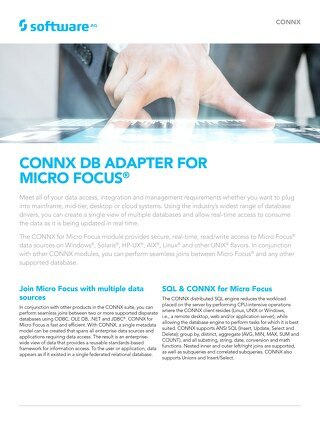 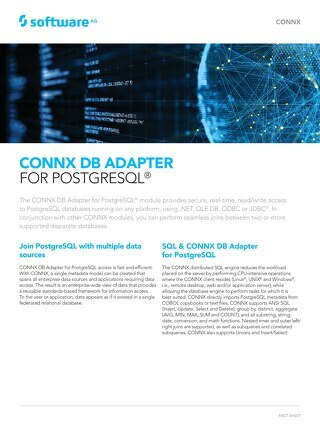 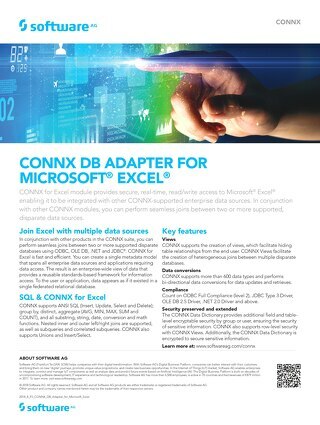 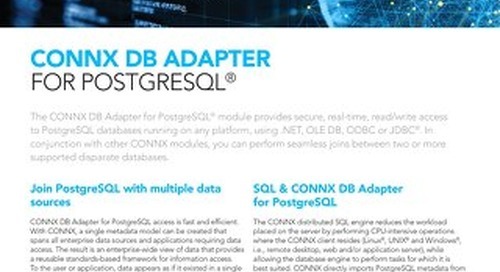 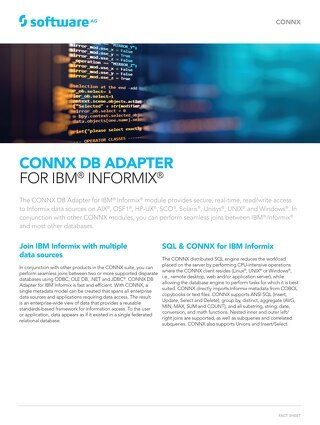 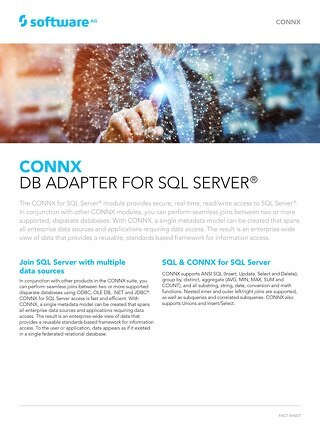 Here are technical details on the CONNX DB Adapter for Oracle for data integration. 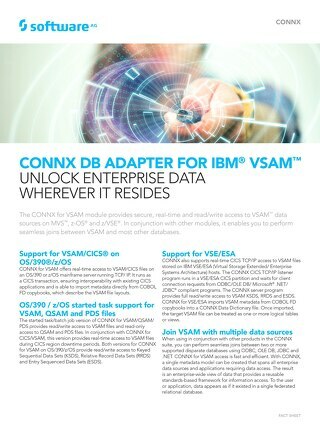 Get technical details on the CONNX for VSAM module for data integration, which provides secure, real-time and read/write access to VSAM data sources on MVS™, z-OS® and z/VSE®.